The following review is for a product called Mineral Solutions Skin-Balancing Facial Moisturizer. It is designed to hydrate, moisturize your skin, reducing wrinkles and other age-related signs. The manufacturer claims that this product is clinically tested to help firm and restore skin for a more youthful appearance. What’s in Mineral Solutions Skin-Balancing Facial Moisturizer? Sunflower oil has properties that fight skin issues such as irritation, acne, and inflammation. Vitamin B5 reduces the amount of water lost through the skin for daily moisture. Vitamin E has anti-aging properties. Olive Oil acts as a moisturizer alleviates skin dryness and sensitivity. Cucumber Fruit Extract has soothing and moisturizing effects that leave your skin feeling soft and smooth. 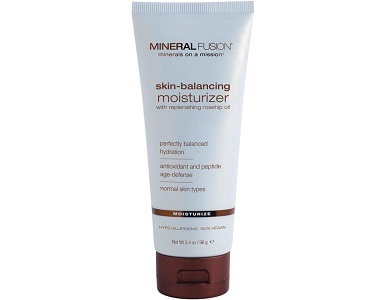 How do you use Mineral Solutions Skin-Balancing Facial Moisturizer? 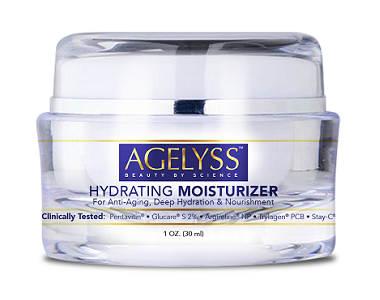 To apply this facial moisturizer, smooth onto clean skin in the morning and at night. It is not indicated how much of the product you should use at a given time. You can purchase Mineral Solutions Skin-Balancing Facial Moisturizer directly through the manufacturer’s website for $22.99 and through Amazon for $11.99. Another third-party retailer sells if for a discounted price of $14.38. It is also available from a few other retailers. It would be a good idea to shop around first to find a better deal before deciding where to buy this product as prices are very different per retailer. Unfortunately, there is no money-back guarantee on this product, despite that the manufacturer claims that they understand that it can be difficult to choose the right shade or product when purchasing online. They state that you can return the product within 30 days, but it should be unused and unopened. This is very obvious that you cannot return the product if you use it. Mineral Solutions Skin-Balancing Facial Moisturizer could be beneficial to your skin if it does what it promises to do. The consumer reviews on the manufacturer’s website are positive, which is promising. The price is affordable and a bit lower than other products that we have reviewed so far. It is even much cheaper on Amazon. This could be a good thing for people who cannot afford a higher price. However, the lower the quality of a product is, the cheaper it becomes. This is a concern because no one would want to buy low-quality products. Furthermore, there is no money-back guarantee on this product, which makes it even difficult for us to recommend it to you. You would be taking a risk by buying a product that could be low quality and one that you cannot return if you are unsatisfied. We advise that you look further.